This week, meet #TCCFam Elizabeth Beitz! She shares her favorite parts about her job and a little bit about herself. #TCCFam member Andrew Watson shares his incredible story that reminds us how well our phones really do keep us connected. Favorite thing about the company as a whole: I love the focus on making a better community. Out of all the places I have worked, I have never met a company so passionate about a better tomorrow for everyone. We don't just focus on one fundraiser; we focus on anything that helps someone whether it's a local organization or a worldwide fundraiser. Every day I come in, I don't feel like it's just another day at work. It's another day to help my community grow more. Did you miss us? #TCCFam is back, baby! This week, we're featuring our Store Manager Bobby Doyle. 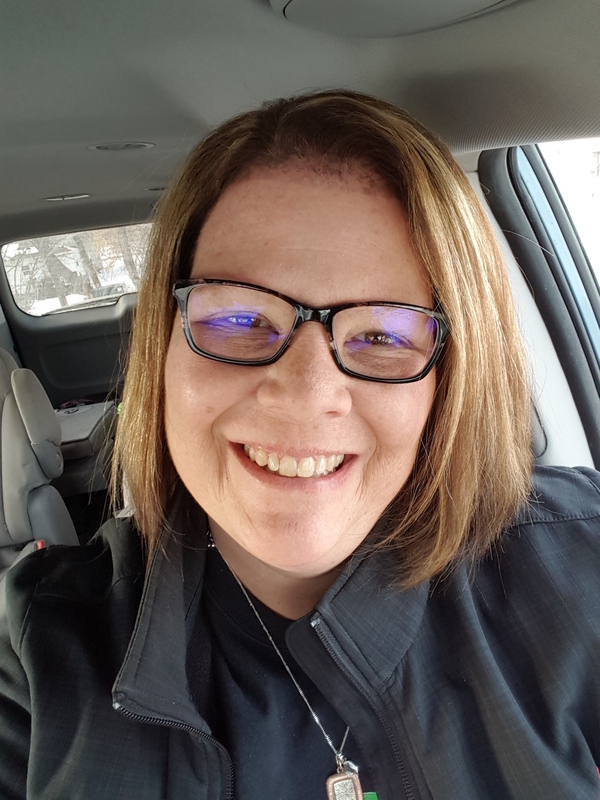 Store Manager Amanda Janicki shares her story about using a Samsung Note 8 to literally save her life. Meet Addy Draper, #TCCFam member of the week. Her favorite part about working here? Being able to help people get the most out of the devices they interact with every single day. Favorite part about working for TCC: I love that I feel like I'm part of a big family working here. Whether I call a store in my district or outside of my district, anyone is ready and willing to help me with any questions. This week's #TCCFam member is Bryan Clark. Store Manager Jim Tollman shares his favorite things about working for TCC. Plus, be sure to read one of the most interesting customer story submissions we've seen yet. Store Manager Elisha Kenworthy helped save a customer's life from a simple product suggestion. Read what happens next here. Favorite phone: I'm a Samsung person and recently upgraded to a Samsung Galaxy S9+, I love the camera and storage space. I constantly am taking pictures of my kids and nature, so having more room means I can take as many as I please. Favorite part about working for TCC: My favorite part about working at TCC is the fact the company cares about their employees. They treat us as a family, no matter where we are in the states. This week, see how #TCCFam member Lyndsay Deeter helped brighten up one customer's Christmas Eve. Favorite part about TCC: My favorite part about TCC is that it’s more than a company, it’s a family. The people are contagiously compassionate and the love for one another is abundant. TCC’s philanthropic programs, like Culture of Good and TCC Gives, make me proud to work for and with people who want to make a difference in the world. Meet Tech Advisor Tyasha Adams Roberts who shows us that you can do more than just sell phones at work. Working in wireless retail means that fixing someone's phone could be saving hundreds of memories that can't be replaced. This week's #TCCFam member is tech advisor, Tyler Halbert. Hear his touching story that all started when he saw the background on someone's phone. Thinking in terms of the company as a whole, what's your favorite part about TCC? My favorite part of TCC is that I can come to work and be me. It's one of the best things that this company is about. Just be you and be human. I don't have to come to work or talk to my people any different than if it was one of my friends or family members. When following the 5 promises, Authentic really stands out for why I love working for TCC. Meet one of our rockstars, Monique Welsh. Learn why she's #TCCFam and what you can find her doing outside of work. Best memory: The best memory I have of TCC was when we did the backpack giveaway last summer. We asked the Springfield Fire Department to come out and demonstrate all the cool stuff on the truck for the kids and talk a little bit about what it takes to be a fire fighter. They also gave the kids their own fire fighter helmets. The parents were really grateful that our organization thought about their children and it felt extremely good to be a part of TCC. What can we find you doing outside of work: I am a plus size model outside of work, so I enjoy doing runway shows and doing photo shoots! I also love poetry so when I feel up to it I will go to open mics! Hidden talents: I am a model, poet, photographer and health coach! I love hitting the runway and exuding confidence! I dibble and dabble in paint now and again, though I'm no Bob Ross..yet lol. Meet Tony Chiancone, our #TCCFam feature this week! Every Monday, we introduce you to one of our amazing employees. Best thing about working for TCC: The best part about TCC is being a part of all the change and growth over the last 10 years. While not everything is perfect, I'm so proud to be a part of it. Favorite product: For me, it's Qmadix Liquid Glass. Such a better option. to continue their growth and continue the change needed to stay on top in this industry so that myself, my family, and my team can continue to grow! This week, meet store manager Komal Pitney and learn why she's #TCCFam! Favorite part about TCC: The best part about TCC is being part of a huge family that cares about my growth and development. TCC has a lot to offer, I'm not just an employee or a number, I feel like I truly matter. Hopes for the company this year: My hopes for the company in 2018 is to bring my store to another level of success! I want my store to be very well known in the community. We are known for our best customer service in town! Best memory: I have two best memories of TCC, the first one is when I got hired in. I moved from another country and this was the first job I applied for and got an interview and was offered the job almost on the spot. No one else took a chance on me, but TCC did. Every Monday we bring you a new member of our staff, aka our #TCCFam. This week, meet Dylan Lease! Best part about TCC: The best part about TCC is that there's always support for employees when we need it, from my coworkers to IT or even other stores -everyone likes helping everyone! Favorite product: My favorite product is Redux. I love how it's able to save all of the personal information and cherished memories on someone's phone. Seeing their face when they can get their phone back working is amazing! Favorite TCC memory: My favorite memory is when we brought the Teachers Rock care kits to the local school last month. Seeing how appreciative they were that they can go a little longer without having to spend their own money on school supplies was pretty great. Meet Kris Wolbeck, our #TCCFam feature this week! Favorite product? I love the Backpack Giveaway. It brings our community together and offers things to those who may need a little extra help. I also appreciate the 401(k) and health benefits offered to us and our families. Best TCC memory? My best memory was in 2016 when I was one of the top 16 employees of the year and was brought on stage. It certainly made me feel appreciated. Any hidden talents? I bake wedding cakes, pies and cookies professionally. I'm told that I'm a great speaker. This week's #TCCFam member is Dan LeBlanc, Sales & Operations VP. Learn why Dan loves TCC and what his favorite product currently is. Favorite Part About TCC: The people! I love working around a team of people that is focused on working to achieve common goals and objectives. But it is not just about results here. The people at TCC genuinely care about one another. Favorite TCC Product: Right now, my favorite product is the Google Pixel. Best TCC memory: We have recently promoted two store managers to regional director roles in the Southeast, highlighting the fact that significant opportunity remains at TCC for leaders that are focused on generating great results and working to build successful teams around them. Meet one of our awesome tech advisors, Jacob Kuczynski! Each week, we introduce you to another member of our team through #TCCFam posts. Best part about TCC: Giving back to the community. Having served in the Armed Forces for 9.5 years, I still love giving back to the community every chance I get. Hopes for the company in 2018: I hope Culture of Good becomes bigger and we can give back to the communities even more. What can we find you doing outside of the office: I’m an avid cyclist, so I ride as much as I can. I also just started bobsled/skeleton training in Lake Placid NY. The rest I spend as much time as I can with my family and dog. We want to introduce you to Kristy Barney, our national trainer and 2015 Employee of the Year. Best part about TCC: The best part about TCC is that it is an environment that's caring, welcoming, and a place where you can authentically be yourself while surrounding yourself with others who strive to challenge and encourage you to become better than you are today. Favorite TCC product: My favorite product/service at TCC would be Redux. Redux provides you peace of mind if, or I should say when, you get your device wet, because it will happen! Redux has saved photos and videos from a device I accidentally got wet. It also saved me tons of money because I didn't have to purchase a new device. Redux saved my phone and my memories! We want to introduce you to Logan Frederick this week, one of our talented store managers. Favorite part about TCC: Our Culture of Good! The emphasis we put on giving back to the community that we live in is pretty awesome. The backpack giveaway we do every year is one of the coolest things to be a part of. The kids love it and the families appreciate all the help they can get with school supplies and finances. Plus, our Culture of Good doesn't just stop at giving back to the community, but it also includes our Culture of Good inside of the company. I can say that this company truly cares about its employees and everyone cares for one another. So my favorite part about TCC is our Culture of Good and everything it entails. This week, we want to introduce you to one of our Tech Advisors, Breannyia Stevens! Favorite part about TCC: TCC is a family based job and that's what I love about it! The people I work with are awesome and help whenever needed! What can we find you doing outside of work? I like to spend time with my beautiful 9 year old daughter Zavi'Onna. I also like to go to the gym and be productive with myself when I'm not at work. It's time for our weekly #TCCFam feature! This week, meet our store manager, Adam. Best part about TCC: Culture of Good. I fell in love with COG as soon as I started working here. Every event I've done has been a lot of fun and we've helped a bunch of people in the process. Favorite product: Redux is my favorite. It's innovative and exclusive. We're back at Corporate for our fourth week of #TCCFam. This week, meet Molly Fields! Best part about TCC: The best part about TCC is the casual environment! You are relaxed at work and it helps it to feel like a home away from home. The casual culture ignores hierarchy and meets the needs of the individual. I love coming to work and seeing my friends! Favorite TCC product: My favorite TCC product right now are the connect home products. I purchased a Google Home and a myQ Chamberlain smart garage door. Both products make my life easier and less stressful. No more leaving my garage door open all day or night!